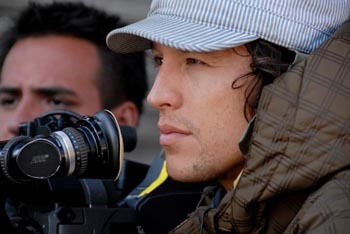 UC Santa Cruz alumnus Cary Joji Fukunaga has definitely avoided the sophomore slump. As a first-time director, he received the best "Directing, U.S. Drama" award at the 2009 Sundance Film Festival for his debut feature film Sin Nombre. Fukunaga-who graduated from UCSC in 1999 with a B.A. in history--wrote and directed Sin Nombre, based on his own firsthand experiences with Central American immigrants seeking a better life in the U.S.
Two years later, he has followed that auspicious beginning with Jane Eyre, Fukunaga’s own take on the classic 1847 novel by Charlotte Bronte—a book that has already been adapted to the silver screen at least a dozen times before. The new film--starring Australian actress Mia Wasikowska (Tim Burton’s Alice in Wonderland, The Kids Are Alright) and Irish actor Michael Fassbender (Quentin Tarantino’s Inglourious Basterds, HBO’s Band of Brothers)—has been creating quite a buzz in the film world. • “Fukunaga’s film is exquisitely emotionally calibrated to call forth a single beautiful flower of love out of the cold gray hard ground of 19th century England.” --Wallace Baine, Santa Cruz Sentinel (March 2011).